PIPECONX Universal Pipe Connectors allow you to connect any size pipe, quickly and easily. Their time saving, fully tested design gives you professional results in minutes using only a slotted screwdriver or a 5/16″ nut driver or socket. Once installed, by tightening the stainless steel bands to 60″ lbs. torque, you are assured of a leak-proof, chemical resistant connection that is impervious to roots and unaffected by soil conditions. 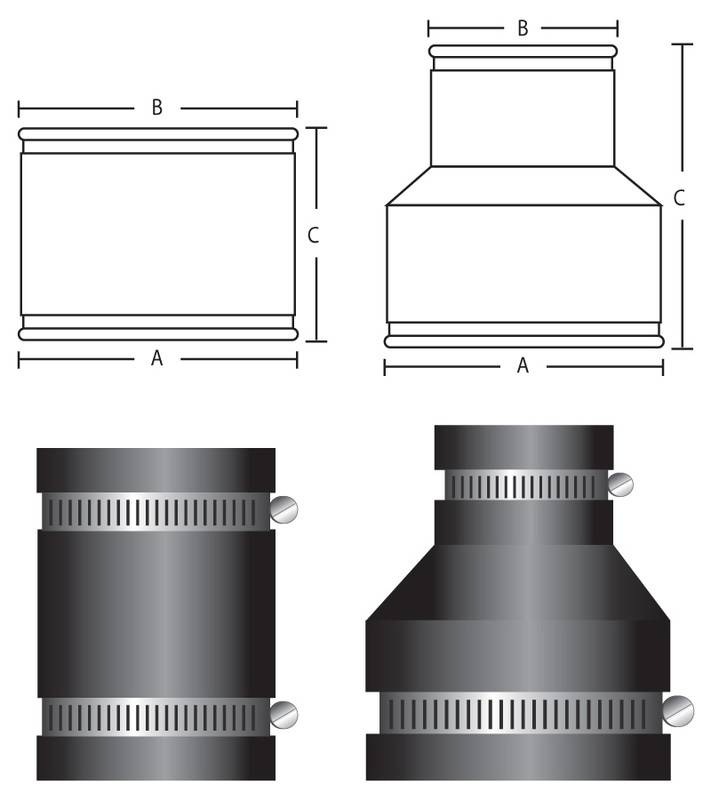 Each coupling is identified by part number, size and the names of the materials they connect.